Russell Packett was a long-time parks and recreation professional who worked in Yarmouth, Freeport and Cape Elizabeth between 1993 and 2017. He was the creator and director of the 130-team travel basketball league for kids in grades 5-8 in Southern Maine. He also served as the treasurer for the Maine Recreation and Parks Association for many years. 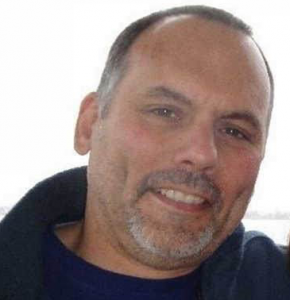 He was passionate about youth sports and promoting training for professionals in the field. The scholarship will be awarded to a current MRPA member to further develop his/her training or education specifically in youth sports. 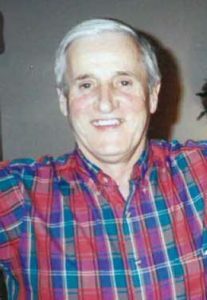 Bill Bonnyman was an accomplished coach in the Hingham, Massachusetts Youth Baseball system, a retired sales representative with Pioneer, a proud father of four and a longtime supporter of the Maine Recreation and Park Association who passed away after a long battle with a rare form of lung disease. His positive attitude and dedication made him a role model throughout his community and beyond and continues to evoke a sense of pride in all those who knew him. This scholarship will be awarded to a current MRPA member to further develop his/her training or education in the parks and recreation profession. Applicant must be a member in good standing of the Maine Recreation and Parks Association. Applicant must be able to show proof that they are presently employed, either full-time or part-time, in a paid capacity in the Parks, Recreation and/or Leisure Services field within the state of Maine, and have been for at least 12 months. Applicant must justify intent of using this award towards furthering their training and/or education, and indicate exactly how they would use the scholarship money. Acceptable expenses include registration fees, lodging, and transportation. Applicant must submit with the application below, one letter of recommendation verifying the applicant’s commitment and dedication to the park and recreation profession, leadership skills, and a detailed reason why this applicant is deserving of the scholarship. This letter, addressed to the scholarship committee and included with the application, should include the length and nature of the writer’s association with the applicant, and the writer’s address, phone number and email address. Applicant must be willing to share some of what he/she learned by either writing an article for the MRPA newsletter/website, speaking at an Annual or Regional Meeting or some other agreed upon means. DEADLINE: There are 2 scholarship application deadlines, September 1st & February 1st. Both application deadline periods will include a maximum award of $500 per applicant and a maximum total amount awarded of $500. The Scholarship Committee reserves the right to carry forward any monies left over from the September award period to the February deadline. PAYMENT INFORMATION: The recipient will be required to show proof of purchase directly related to the proposed training/educational program. MRPA will then reimburse the recipient within 30 days. For more information contact Steve Balboni, Scholarship Chair. What is your departments/agency’s total budget? Of the total budget, how much is dedicated for education? How many employees does this education budget cover? Would you be able to afford this program without this scholarship? How much money are you requesting and exactly how will you use it? Please describe how you will share this new information with other members of MRPA, ex. write an article, speak, etc.? Any additional background (optional) – Please provide any additional information that you think will help with the selection process.